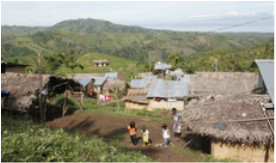 Welcome to Pasali Philippines Foundation Inc.
Pasali envisions self-reliant communities in an environment where social justice and peace prevails. 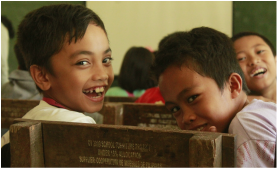 Our mission is to inspire and empower the marginalized communities and vulnerable groups in Mindanao. 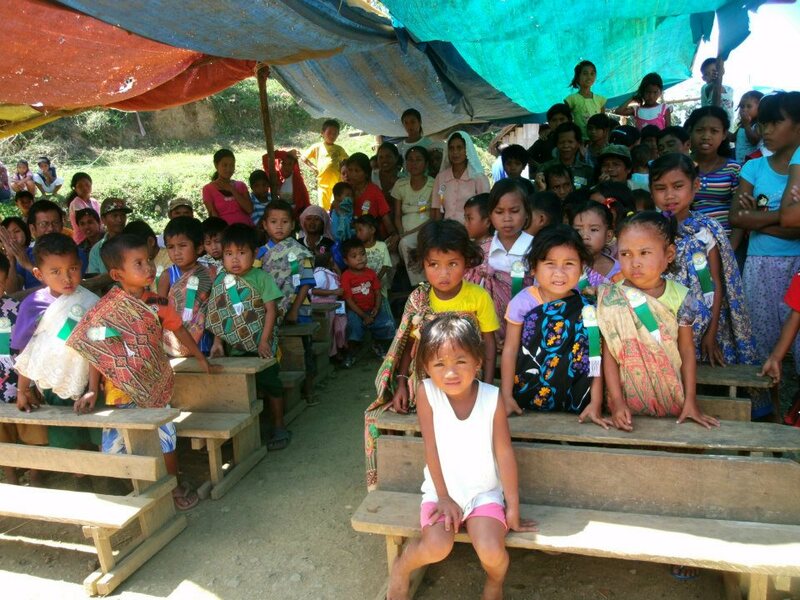 Using resources from overseas Filipinos and partners in development, PASALI shall focus its service work on children as vulnerable group; on marginalized indigenous, Moro and settler communities; and ethnic groups at risk of being stateless through development approaches that combine education, appropriate technology, disaster preparedness, community organizing, and provision of basic needs. Each approach is tested and demonstrated for effective results before being adapted in areas of expansion. We value and respect Life as a sacred gift by all creation. 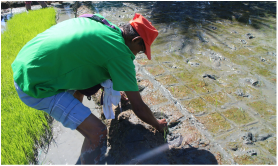 We believe that local communities must participate actively in achieving social consensus, in performing duties on governance, in determining their history, and in upholding a culture of being one with all Nature. A Decade of Brain Gain Work from Pasali Philippines on Vimeo. September 19 to 28, 2017 covered the 10-day Regional Training of Trainers (TOT) on CLIMATE-SMART FARM BUSINESS SCHOOL (CSFBS) held at Agricultural Training Institute-Regional Training Center XII (ATI-RTC XII), Tantangan, South Cotabato. 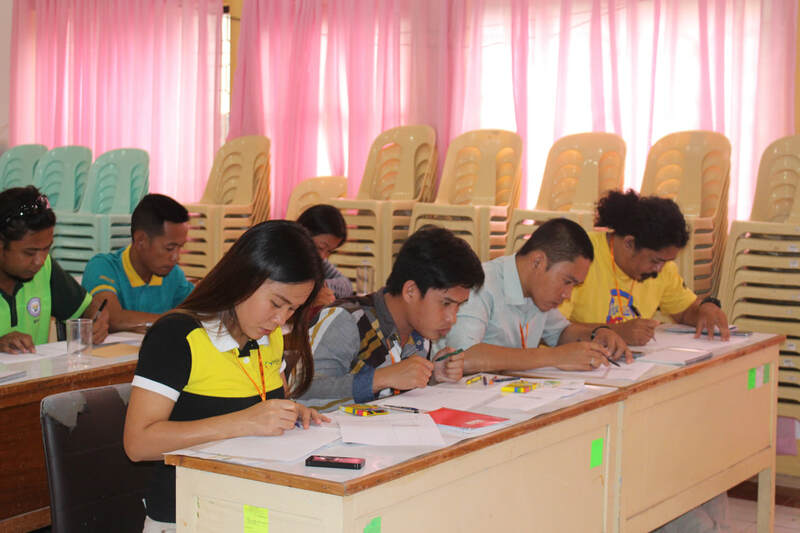 Twenty (20) Agricultural Extension Workers from the provinces of South Cotabato, Sarangani, Sultan Kudarat, North Cotabato and Maguindanao responded positively to the regional office’s invitation as the first batch for CSFBS 2017 read more..
With the aim to capacitate farmers in acquiring adequate knowledge, skills and orientation on the critical aspects of dragon fruit production and processing including post-harvest and marketing aspects, Pasali as an Extension Service Provider and in partnership with the Department of Agriculture-Agricultural Training Institute (ATI) conducted a Training on Dragon Fruit Production and Processing for Farmers of Koronadal read more..
“Sabi nila ang ganda daw ng ginawa n’yo, masaya daw…gustung-gusto nila ang activity. Gusto sana namin ng isa pang training mula sa inyo” [“They said what you did was very wonderful, it was fun… they really like the activity. We would like to have another training with you”], enthusiastically expressed by Atty. 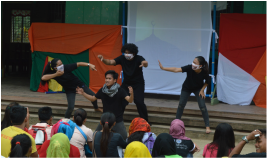 Cyd Charisse P. Non-Dizon, the School Coordinator of Cronasia Foundation College, Inc. (CFCI) days after Pasali’s Children’s Education and Welfare Program (CEWP) staff conducted a TEAMBUILDING WORKSHOP FOR FACULTY MEMBERS AND STAFF read more.. The Respect Education Program started as an advocacy campaign in 2012 to promote intercultural understanding among the children in schools and aims to decrease number of bullying cases especially in areas where diverse culture exists. It later evolved into an approach that aims to improve the quality of education by creating a learning environment where every child feels safe, accepted and capable of fully developing him/herself. 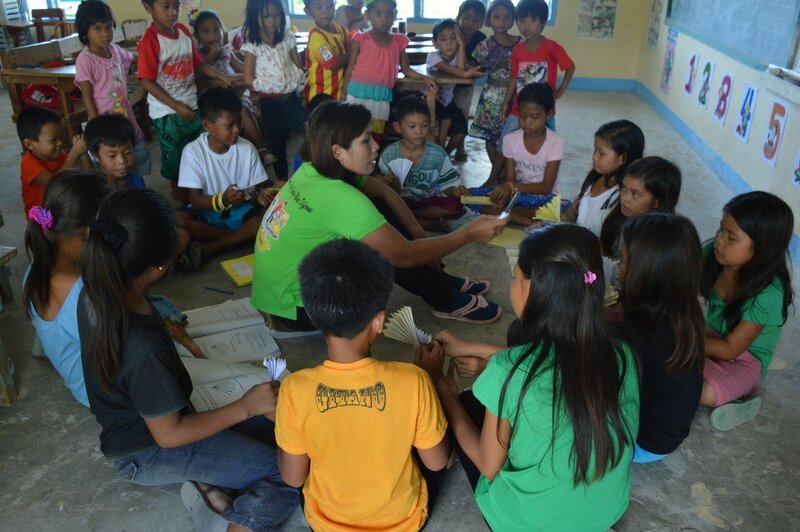 This became a child motivational learning program and sees as an effective peace building activity for the children. Connecting farmer organizations to their target markets is one of the aims of the project Reducing Rural Poverty through Agroentrepreneurship. 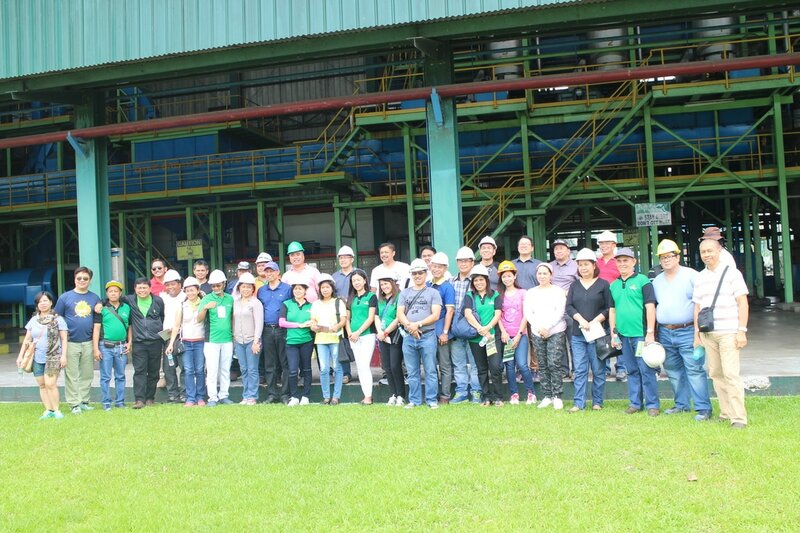 In answer to this, last March 2, 2017 thirty six (36) coffee farmers, coming from four farmer associations from Maasim, Sarangani Province, and Kalamansig and Lebak, Sultan Kudarat , participated in an exposure visit at Nestle’s buying station at Tagum City read more ..
Last February 5, 2017 ​Keytodac Coffee Growers Association (KCGA), a barangay level farmer organization under Lebak Coffee Growers Association (LCGA) was able to deliver 20 tons of green coffee beans to Nestle's buying center in Tagum City as a collective marketing activity. Although it was their first time, the product delivered was determined at Grade 1, the highest grade in terms of green coffee beans read more..
Pasali initiates a project goal aiming to encourage the teachers to develop and adopt creative approaches in teaching in an extent to utilize and even maximize the synergy of Respect methodologies in their daily teaching. The Buddy-buddy System which is program's form of implementing this year's project goal that states: "To integrate Respect Education teaching strategies in the formal curriculum of DepEd Region XII". ​ read more..
Thirty-Five (35) Land Bank of the Philippines (LBP) personnel from its Head Office and Regions 2-12, attended the 5-day Training Course on Plantation Crops (Banana, Rubber and Oil Palm) Production last January 23-27, 2017 held at the Regional Training Center XII of the Department of Agriculture-Agricultural Training Institute (DA-ATI). 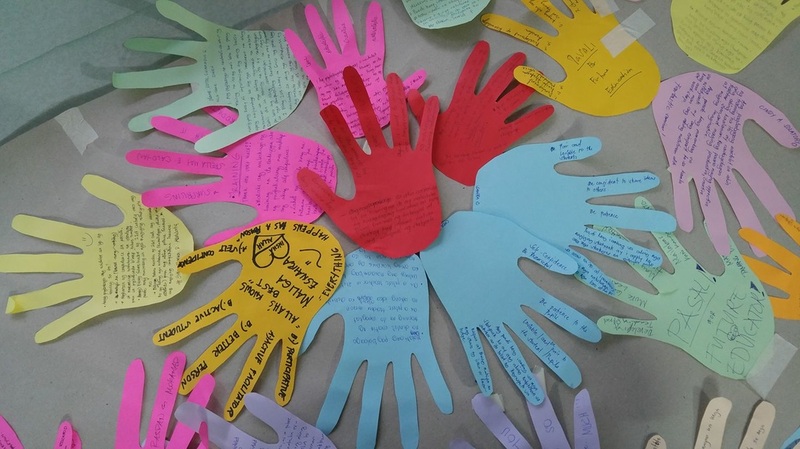 ​Managed and supervised by the Pasali Philippines Foundation read more..
Last November 28, various Local Councils for Protection of Children of GSC and co-member agencies converged in the Children’s Congress 2016 held at Venue 88, GSC. Through collaborative efforts of the City Social Welfare and Devt Office, Family Planning Org of the Philippines, International Care Ministry, RD Foundation, 26 Barangay Council for the Protection of Children of GSC and Pasali Philippines read more..
November marks the start of the coffee season, flowers bloom and the process of ripening into fruits begin. These fruits shall yield the beans that are essential to a coffee farmer and his family’s livelihood. Coffee season lasts only four months normally, and in the case of farming families’ dependent only on it, nothing must compromise this. 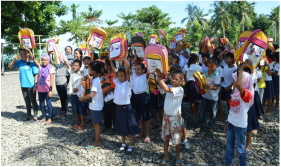 But on the eve of November 5, 2016 flashfloods and landslides read more..
Held in various recipient public schools within General Santos City and Sarangani Province, Pasali tapped the partnership of PTA (Parents-Teachers-Association) as co-peace advocates in the promotion of equality and understanding thru the Respect Education Program in every school campus. Thus, the School-Based PTA Strengthening Orientation-Workshop was productively conducted on read more..
To diversify the intercultural understanding in education and fulfill explicit basic needs of students, Pasali, once more, launched “Creativity in Teaching with Respect Methodologies Training for K-12 Teachers” last November 4-5, 2016 at Sultan Kudarat State University, Poblacion, Palimbang, Sultan Kudarat. 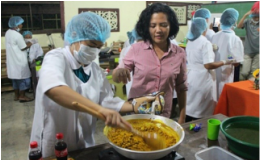 It was participated by 7 Faculty Personnel and 55 Graduating BEED Students of SKSU read more..
​Pasali conducted a three-day training on Product Development and Marketing (Commodity Branding) for Agricultural Etension Workers (AEWs)/Farmers of Malapatan, Sarangani Province held last October 18-20, 2016 at OSCA Building, Barangay Lun Masla of the said municipality. It was joined in by 37 training participants. The training generaly aims to promote product development and marketing read more.. 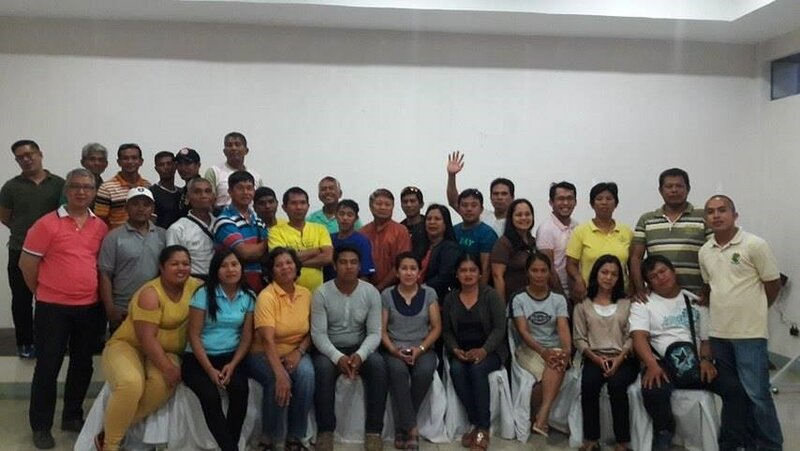 Supporting the national drive to contribute to local income generation, Pasali hosted a Training on Vegetable Production Technology for Farmers of Palimbang, Sultan Kudarat on October 3-5, 2016. 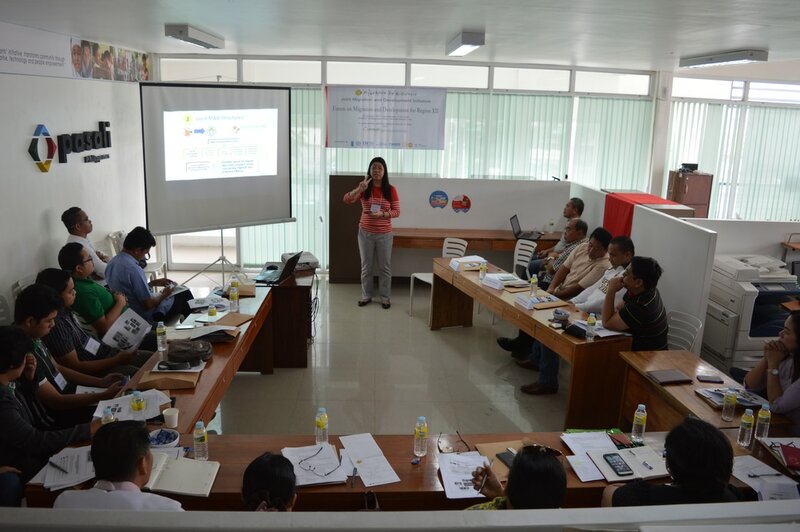 It was held at the Sarangani Learning & Resource Ceter in Datu Dani, Kiamba, Sarangani Province. A total of 33 farmers actively took part in the training and listened to the inputs of the two resource persons from read more..
​Pasali spearheaded a training on Organic Livestock and Poultry Production last September 26-28, 2016 held at Sarangani Learning and Resource Center in Datu Dani, Kiamba, Sarangani Province, attended by 28 farmer-participants from the municipality of Kiamba. 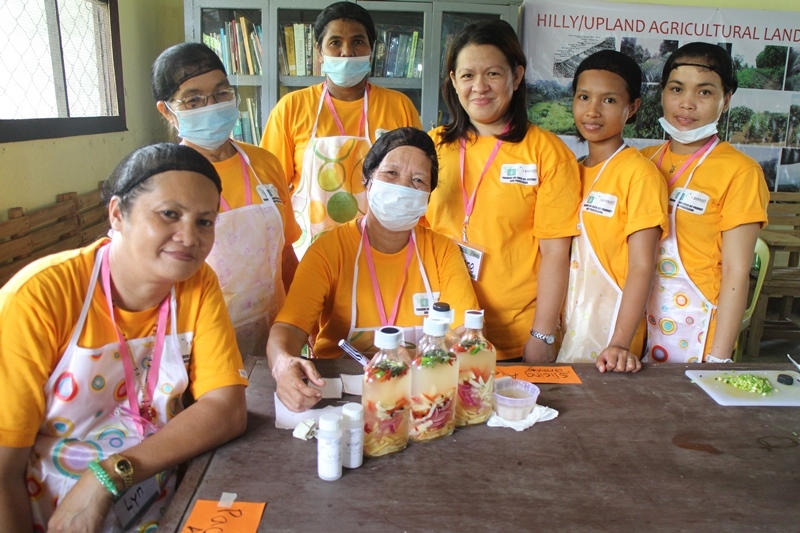 This activity is designed mainly to promote native chicken production to provide nutritious food and as a source of additional income read more..
​“Pulos gyud useful sa kinabuhi ang among mga natun-an. Kumpleto: pwede sa panginabuhian, sa pampagwapa, ug tambal. Among paningkamutan nga ang tanan namong natun-an, ma-re-echo sa komunidad ug ma-apply usab sa among tagsa-tagsa ka mga pamilya” Elsa Nolasco, training participant. 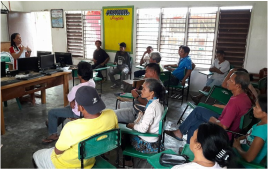 Promoting coco by-products and processing to increase income of the coconut farmers, Pasali hosted read more. This year’s mode of implementation for Respect Education Project involves more on strengthening schools’ internal teaching ability and less on external facilitation. With this, series of trainings are prepared for recipient teachers and Sultan Kudarat State University (SKSU) College of Education students. 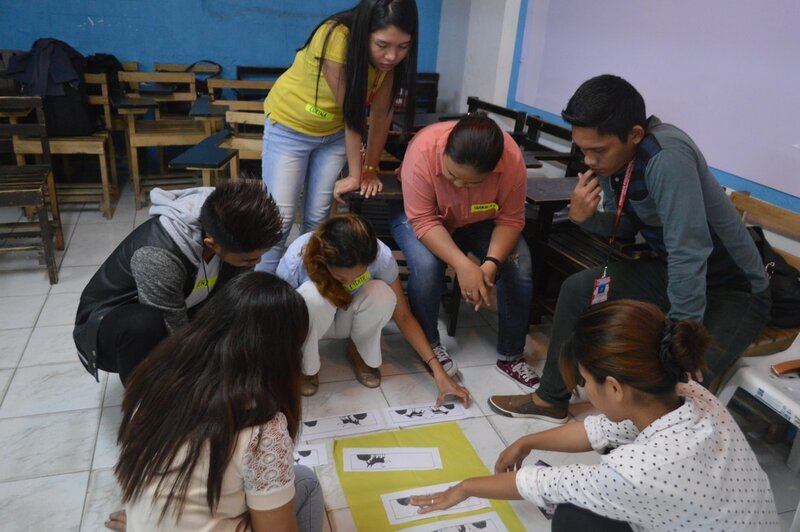 Pasali's CEWP staff , in partnership with PETA, conducted the “Creativity in Education Training for K-12 Teachers” read more.. The main purpose of REP is to integrate value-based teaching techniques in the formal curriculum and to embed deeper understanding about respect in all aspect of everyday living to cultivate helpful improvement into current generations’ values. 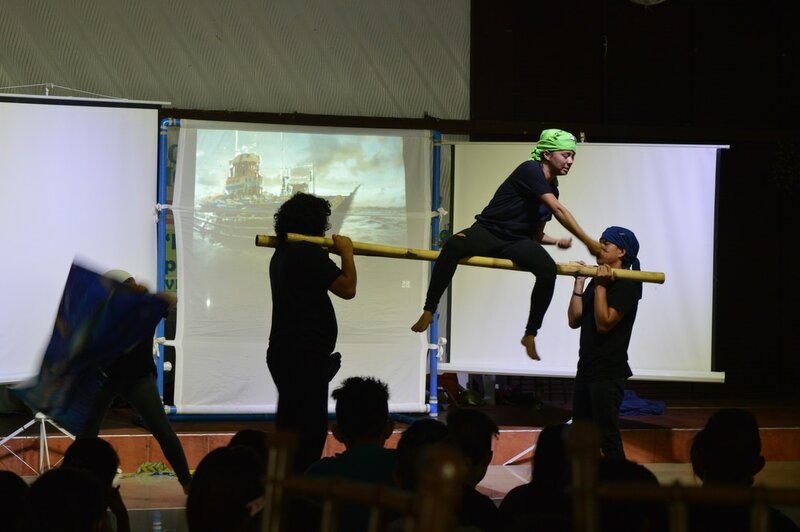 In line with this, an idea came up to generate a short theatrical production summarizing the core message that this project aims to deliver – equality amidst culture, tribe, read more..
Pasali Philippines Foundation, Inc., an accredited Extension Service Provider (ESP) of the Department of Agriculture-Agricultural Training Institute (DA-ATI) – Region 12, has already conducted series of trainings ​that were held within Region 12 since April 2016 in partnership with the DA-ATI-12. 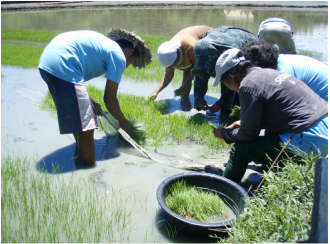 The following trainings were conducted read more..
Pasali's Extension Service Provider team recently conducted a three-day training on System of Rice Intensification (SRI) methodologies last August 30 to September 1, 2016 at Pasali Learning and Resource Center in Barangay Baliango, Palimbang, Sultan Kudarat. 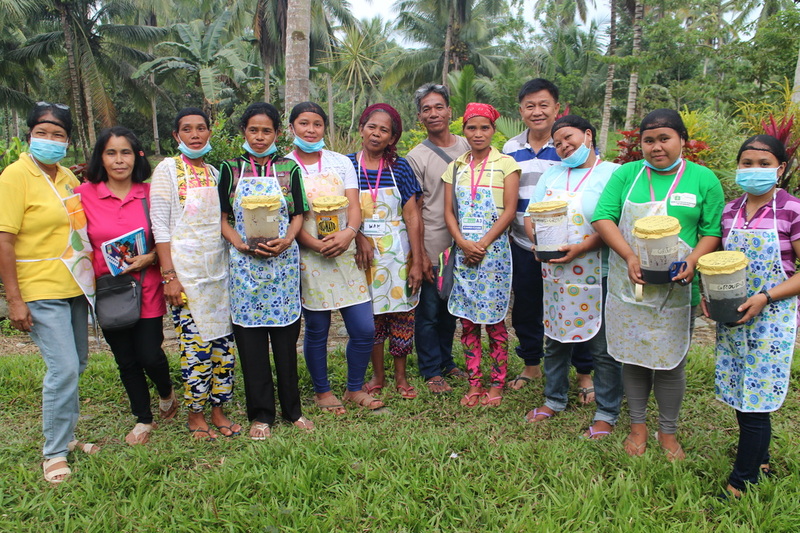 The training was attended by 31 farmers from different barangays of Palimbang read more..
Indigenous people living in the highlands, most of the T’boli tribe of Maasim, Sarangani province, have always struggled to attain higher forms of education vital to their development. Being hardworking people some have tried to venture into business progressing their native way of life – farming. It is therefore an opportunity that these entrepreneurs are cultivated and given proper learning read more.. It began from the initiative of Respect Education Foundation (REF) Netherlands to integrate “respect value” in teaching methodologies and has earned evident outcome in several selected schools in Netherlands. Pasali Philippines Foundation, through its partnership with CORDAID, in working with children of diverse cultural backgrounds over the past five years, sees the need to link with REF to directly involve children read more..
Pasali Philippines, as the convener of TNKK (Tulong Niyo Kinabukasan Ko), facilitated the distribution of school supplies including bags and other educational learning materials to students among its recipient primary and integrated schools in General Santos City, Sarangani Province, and Palimbang Municipality on June 21, 24 and July 21, 25-26, 2016 read more..
Learning that there are still many IP communities who are deprived of the government's basic social services, the Area-Based Standards Network-(ABSNET) SarGen Chapter orchestrated this year’s conduct of Adopt-a-School Program at IP Calay Primary School, Brgy. 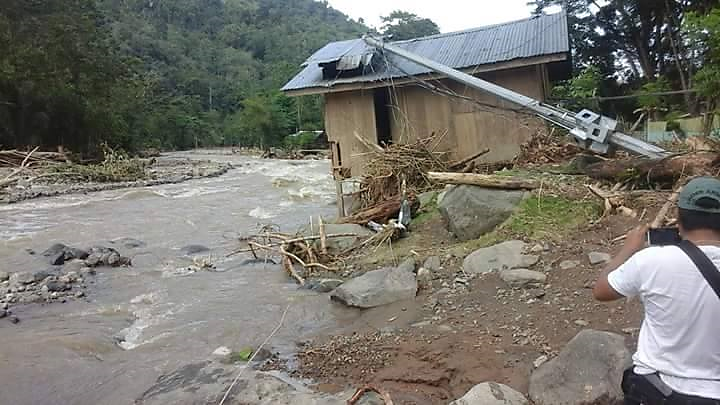 Lun Masla, Malapatan, Sarangani Province on 22nd of June 2016. It's a one day "bridging-the-gap" effort collaboratively extended by read more..
For years coffee farmers has been content to produce and sell green coffee beans – these are the dried, hulled and sorted coffee seeds. This may be due to lack of knowledge, post-harvest facilities and interest. But green coffee beans fetch a smaller value on the market compared to its roasted and grounded form. 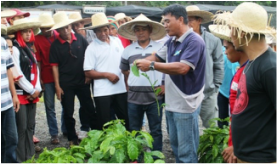 Coffee farmers from three farmer associations coming from the municipalities of read more..
"Ang pagiging coffee grower ay isang business, dahil kung naglagay ka ng inputs dapat ikaw ay may output. Kung hindi mo ito gagastusan panu ka kikita? Sa pagtatanim ng kape pwedeng umunlad ang iyong buhay.” Ruben Aquino, Kalamansig Coffee Industry Development Council (COINDECO). 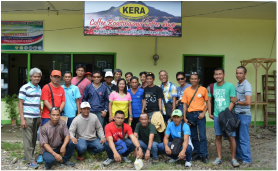 Kalamansig’s COINDECO, an association of Coffee Farmers, had for the past years received different coffee read more..
Water Is Life. 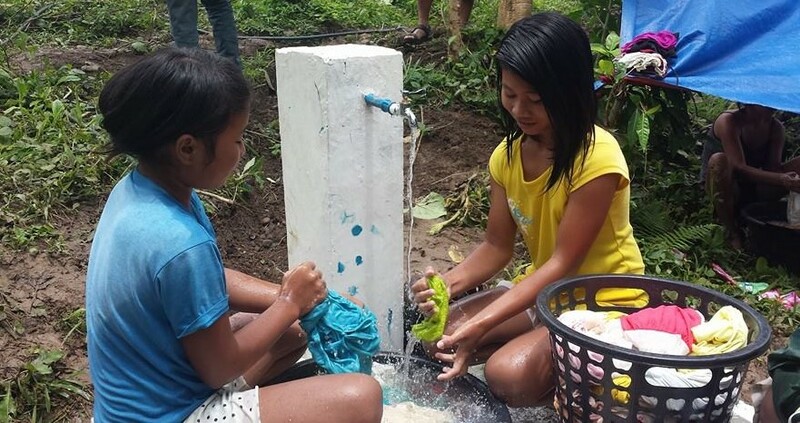 ​Hydraulic ram pump provides water to communities up in the hills. 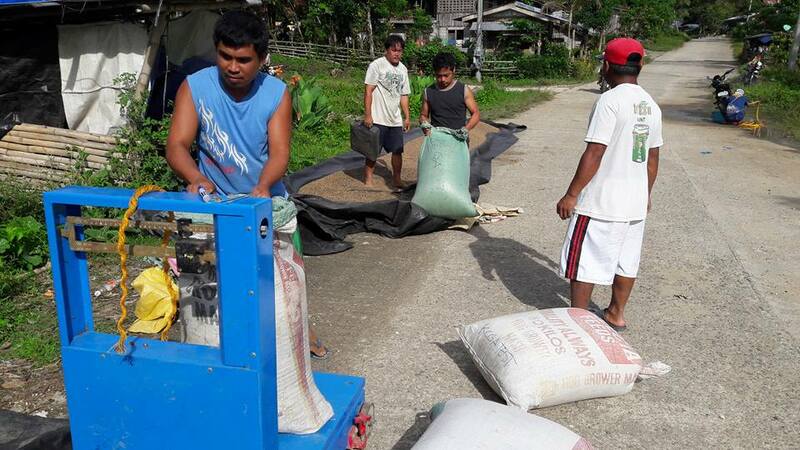 With the advent of the best version of hydraulic ram pump, developed by Appropriate Indigenous Development Foundation, Incorporated (AIDFI) and further applied by Appropriate Technology and Innovative Development (ATINDev) Program of Pasali, hundreds of villages in the mountainous parts of the Philippines, are now enjoying supply of adequate water at level 2 system read more..
﻿"Migrants' initiative transforms community through enterprise, technology and people empowerment"